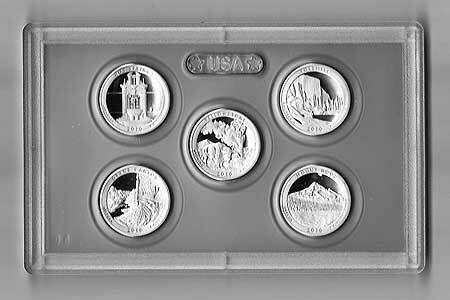 Beginning this year, the new America the Beautiful Quarters program will release the first of 56 new United States quarter coins. The new coins feature national parks and other national sites in each state, the District of Columbia and U.S. Territories. 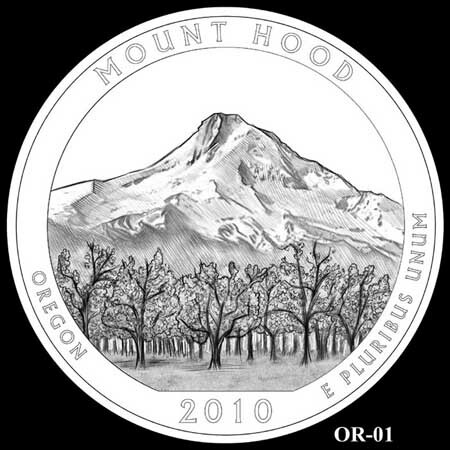 Notably, Mount Hood is one of just two “national sites” in the new set that is not protected by the National Park Service (the other is the White Mountains in New Hampshire). Still more significant is the timing: Mount Hood will join Yellowstone, Yosemite, the Grand Canyon and Hot Springs National Parks in being the first five coins featured in the inaugural year. This honor is yet another reminder of the mountain’s second-class status among the nation’s natural shrines, but is also more inspiration to correct that oversight. 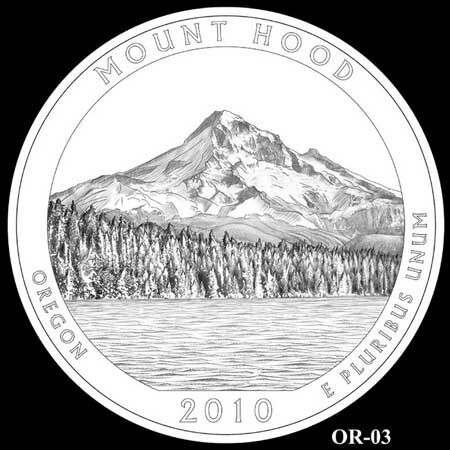 Mount Hood stands in hallowed company in this initial rollout of the new coin series. The process for selecting the design of the new Mount Hood quarter is nearly complete. The design has already been narrowed to four options, with one option jointly nominated by a pair of blue-ribbon advisory committee as the preferred design. Secretary of Treasury Timothy Geithner will make the final decision on designs for the first five quarters, and the U.S. Mint will issue the quarters later this year. 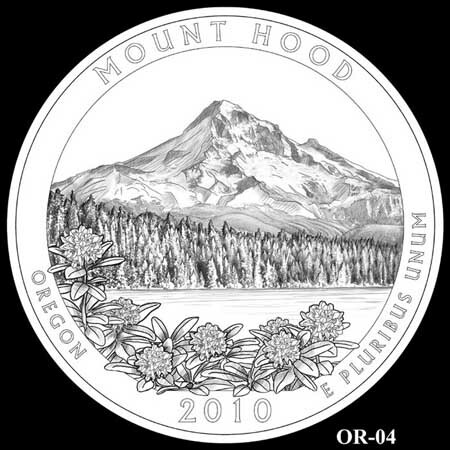 The first design option for the Mount Hood quarter features the picturesque view of mountain from the fruit orchards of the upper Hood River Valley. Though it would make a fine choice, this was not the design forwarded by the advisory committees. The second option is somewhat awkward, since it places the Portland skyline somewhere in the vicinity of Hood River. Thankfully, this option passed over by both advisory committees, and is unlikely to be selected. It’s somewhat baffling how such an iconic view could be botched like this, and we can only hope that the error would have been caught had the design been selected! The third option is the familiar and classic view of the mountain from Lost Lake, as seen in a century of countless postcards and other tourist collectables over the decades. This design is the recommended choice of both advisory committees, and seems likely to be the final design. The fourth option is a variation of the (so far) favored Lost Lake option, adding clusters of Pacific rhododendron blossoms to the foreground. This would have been my pick for the coin, but was passed over by the advisory committees as “too cluttered”. Surprisingly, there were no Mount Hood quarter finalists featuring Timberline Lodge and the familiar south side of the mountain, arguably the best-known view of the mountain. This might be explained by the U.S. 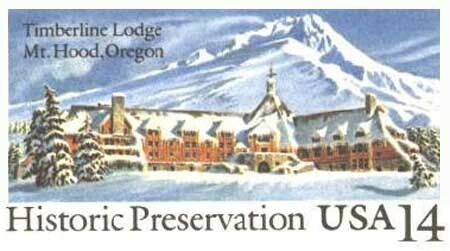 Postal Service issuance of a commemorative postcard in 1987 (below) that featured the lodge on its fiftieth anniversary. 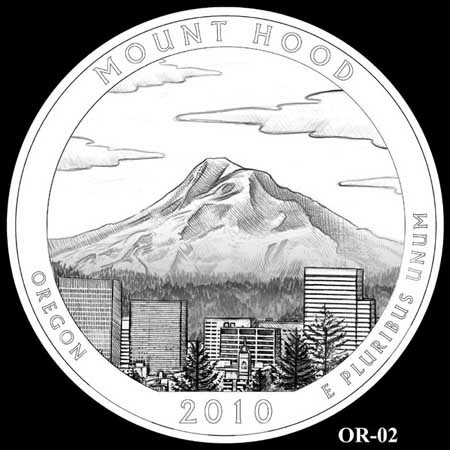 Despite the less-than-inspiring design of the Mount Hood coin in this earlier competition, there was a last-minute flurry of interest in combining the Oregon Trail and Mount Hood themes. 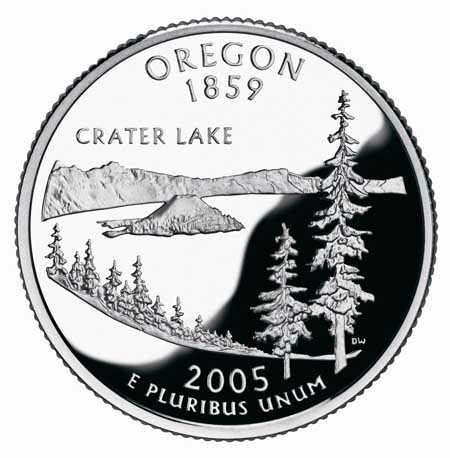 After much debate, Governor Ted Kulongoski eventually picked the Crater Lake design (below), and this has now become a favorite among coin collectors. 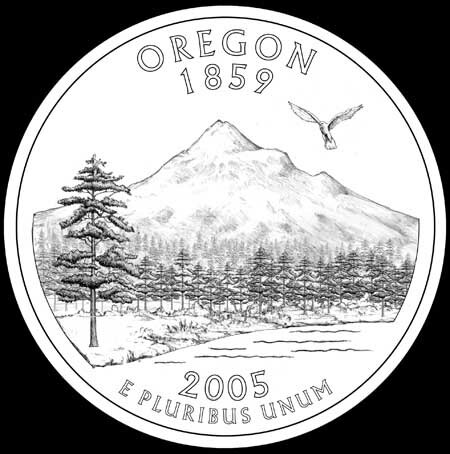 This earlier choice probably helped move the Mount Hood coin to the front of the line for the America the Beautiful series, though it wasn’t necessarly a given. California, for example, will feature Yosemite on its America the Beautiful quarter, despite having featured the park (and John Muir) on its state quarter. Likewise, Arizona will portray the Grand Canyon on the new quarter, but also featured it on the state quarter series. So, we’re fortunate that Mount Hood is now getting its due, and will be profiled in such fine company, with more than fifty national parks, monuments and historic sites. It’s an honor well-deserved, and perhaps a foreshadowing of the company that Mount Hood will share in the future. 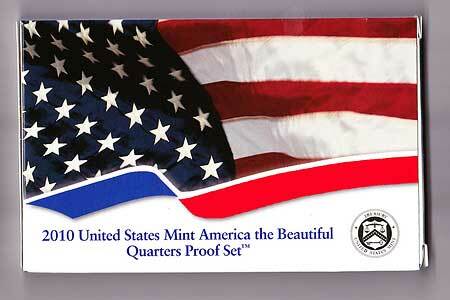 You can order the set direct from the United States Mint.